We may get commissions for purchases made through links in this post. For more information go to Disclaimer & Disclosure. 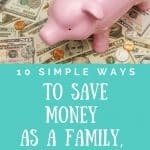 10 Simple Ways for you to Save Money as a Family, Fast. 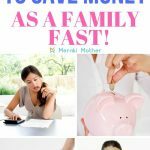 Being a strict frugal family isn’t for everybody but don’t worry there are still some simple and easy ways you can all become family money savers, reduce spending and grow your family savings without having to stick to a tight budget or reuse your teabags. 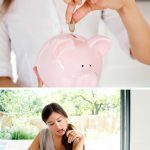 Below are the best tips for saving my family money! This simple saving tip can help your family finances by hundreds, if not thousands of dollars a year. 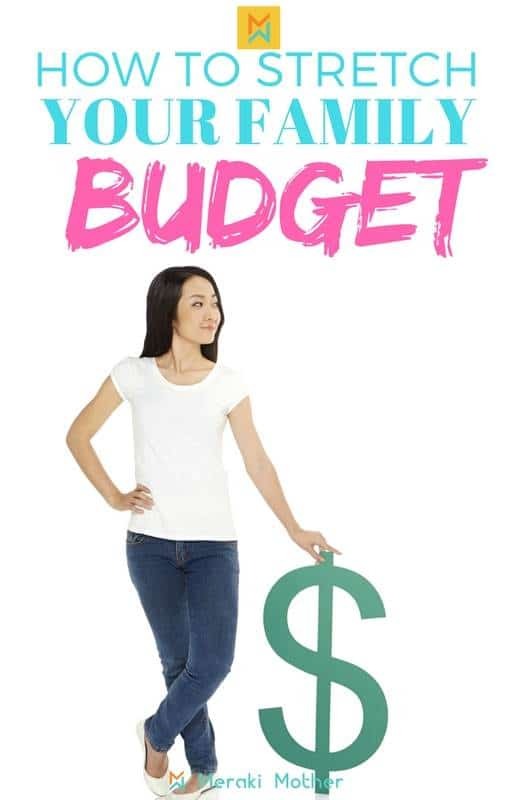 So what is family budget? It is the main tool used to estimate the income and expenditure of a family in a given set period of time. It can help you see where most of your income is being spent and how to budget and save money on a small income. A family budget can be as detailed or simplified as each family needs it to be, and that depends on the income and amount needed to be saved. However, there are 4 family budget categories we like to pay attention to each time because these areas either constitute high monthly expenditure or seasonal. Menu Planning not only saves you time but saves you money on food as well. Most families find their groceries are their biggest expense. So how to save money on groceries for a large family, and for small ones too? 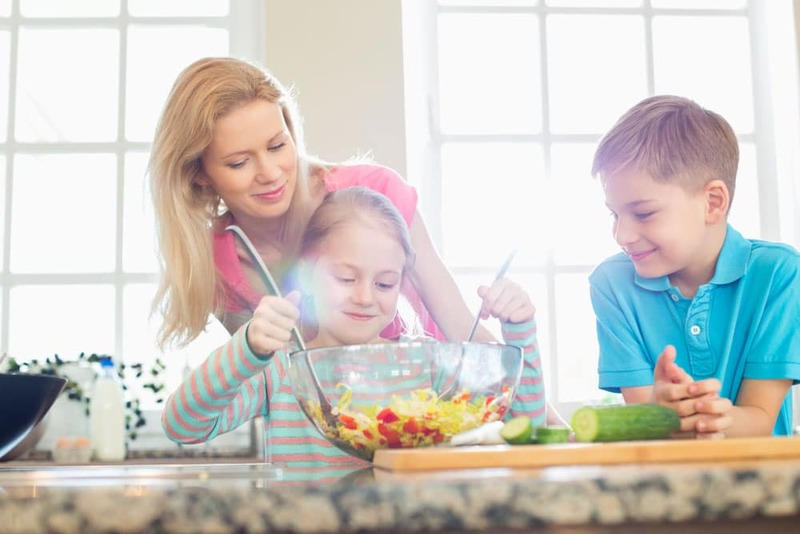 With your family meals planned a week or two in advance you will be able to reduce visits to the supermarket, which cuts down on impulse buying items during every shopping trip. You will also reduce your food waste, which means you aren’t throwing your hard earned cash in the trash can. By hitting the store sales straight after a Holiday has finished you get some amazing bargains and save money. Think craft items, Halloween decorations, Christmas cards and wrapping. Pop them in storage for the next Holiday and you will not only have money in the bank but be super organized too. Starting research for your next family vacation early means you have time to discover some amazing travel deals and early-bird discounts. With some companies, you can even set up email alerts letting you know when prices drop. Looking for some travel with kids ideas? Head to our Travel section to find some great inspo. When you are looking to buy high priced items like a TV or fridge, giving yourself time. By shopping around and finding the best deal, you can make a huge difference to the money in your pocket. Be sure to take advantage of stores that will price match goods. Make sure you try looking online for big items too. Click to see prices on Fridges, Beds and TV’s too. One of our favorite large family budget tips too and it is to buy in bulk. Think bulk buying of necessary grocery items, either at bulk buying stores or when you see them on special at your local store. Another great habit to get into is to bulk cook. Think simple meals like casseroles. Cook up 4 or more servings and freeze until you need. Not only are you buying ingredients in bulk but if you have a meal at hand when you are strapped for time you are less likely to order take-out. Such an easy way to be more frugal. From a family on a budget perspective, it sometimes sounds like you have to give up on all good things in life. That does not need to be true. Your menu planning already has you shopping smarter but you can take it further by making your visits to the grocery store coincide with sales they have on. Of course, this goes for any purchases you make. A big part of shopping smarter is deciding if you really need to spend that money in the first place. If you have the urge to buy something that isn’t a necessary item (like those shoes you saw that were so pretty), hold off buying for at least two weeks (a month if possible). You will usually find that you don’t really need that item and your urge to buy it has passed. And if it hasn’t you will probably get it discounted when you end up buying it. Another great way to save is by choosing sites that give you great bargains like Ebates. Ebates gives you cash back for purchasing through them…and it’s a free service. Even better, when you sign up through our link and spend $25 online, you will then receive a $10 cash welcome bonus. A great way to start your family savings. Need a new dress for a formal occasion but won’t wear it again? Why not do a wardrobe swap with a friend or look at hiring a dress through an online company?. Whenever you need to make a purchase ask yourself if there’s a way you can save spending. Why not create entertainment for your kids? Activities like this homemade play dough or our fun galaxy slime, are not only cheap but they help stimulate your kids imaginations too. We have all heard this saying, now let’s make it a reality and watch the family finances prosper. 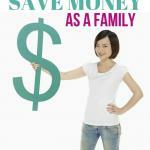 What is the best money saving tips for families? Not spending any, of course! Use your local library to borrow books, movies and in some libraries even children’s toys. Save money and do free family activities. 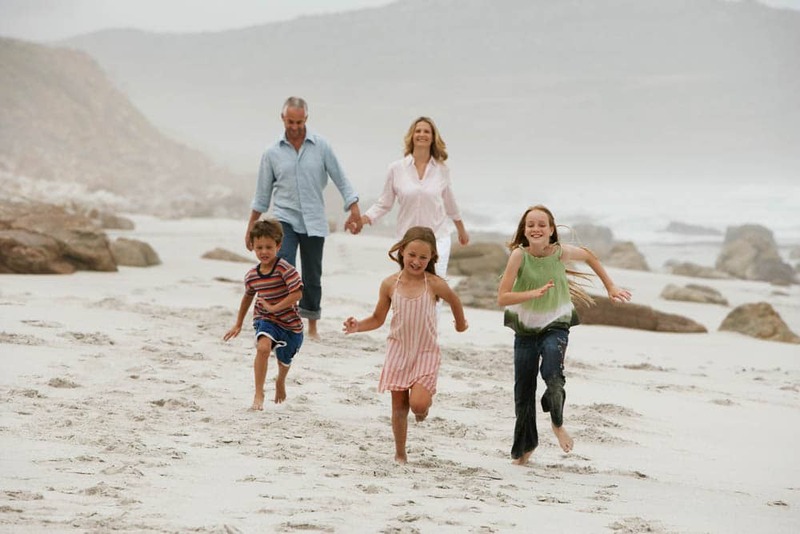 Head to the beach, go for a bike ride, play soccer in the park or go on a family-friendly hike. You’re not only keeping healthy, creating amazing memories with your children but saving money too. Take a look at our 50 Ways to Keep Children Happy Without Spending a Dime for more ideas. Have movie nights at home with homemade popcorn and other goodies. Or have a game night with friends instead of going out for a meal. Our family budget suggestion is to always take a look at what activities are free in your local area. You may be surprised. Often galleries and museums may have free days or locals specials. One of the biggest advantages of a family budget is the ability to recognize necessary expenditure. Take a look at all the services you currently sign up to and pay monthly. Think movie streaming, TV, music and gym memberships. Do you use them all, or is there a couple you can do without? Could you take advantage of Tip 5 and use free services to replace them? 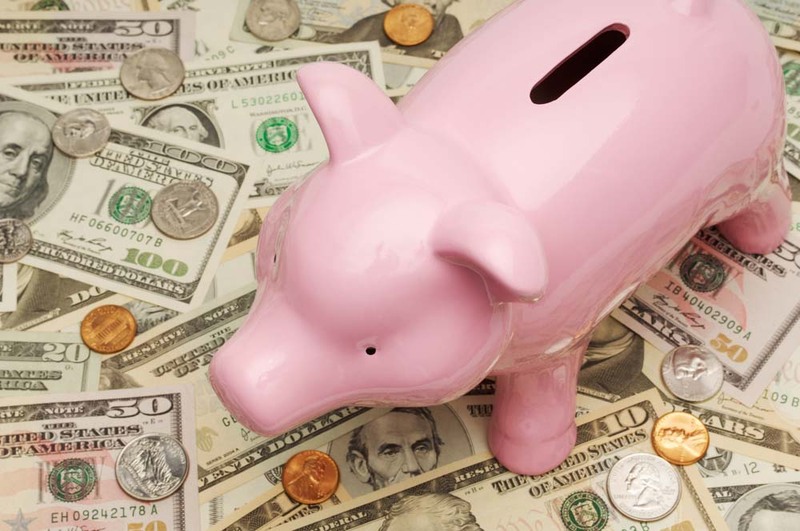 You will be surprised how by cutting out even one or two you can add hundreds of dollars to your family savings. Buying convenience goods is a sure way to blow the budget. Having a homemade lunch rather than buying lunch can really add up so consider getting out the brown paper bags and saving. Wherever possible cook homemade meals. To be even more frugal, cook from scratch. Making things like your own pasta sauce can be small savings that all add up to a big difference in family finances. One step further is to grow your own food, like herbs and vegetables. Want some inspiration? Check out these Container Vegetable Garden Ideas. Another great frugal tip is to handmake gifts. If you have a special talent for photography or craft, create a truly personal and special gift that shows you care. You are limited only by your imagination with homemade gifts. You could treat someone to beautiful scented candles, freshly baked cakes and cookies, sewn items, soaps and much more. Take a look over at our craft section for more ideas. Want to make money at home? Check out 5 ways every Stay At Home Mom can make money. You can spend money to save money. Some of our favorite items we believe you should spend money on are items like a great crockpot, high-quality wardrobe essentials ( think denim jeans, black pants, a few great mix and match tops) and shoes. It is much better to get the best you can afford and have these items last then buying cheap and new more often. This also goes for reusable items. Instead of paper plates for picnic, why not buy some pretty picnic plates. Think of alternatives for plastic bags and other disposable goods and watch the savings add up. As much as we would like to make bills disappear completely, they are a fact of life. Luckily, you can still make some household savings and reduce bills, even if you can’t get rid of them. A simple way to save money is to make sure you are with the best provider possible. Shop around for electric, gas, insurances and other utilities to make sure you are getting the best deal for your family. Be more energy efficient. Turn off lights when not in the room, switch off appliances rather than using standby and don’t have heaters on too high, air conditioning too low. Make sure your home is water-proofed and insulated. Check the energy efficiency of new appliances before purchasing. Check your phone and internet plans. There are great new deals out every day with communication companies. Make sure you are getting the best you can, especially if you have had the same plan for a while. 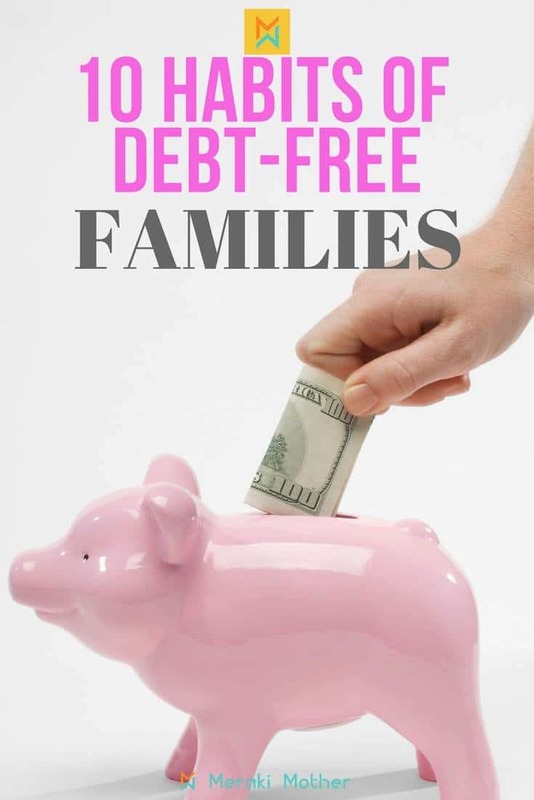 Why not get frugal with another family or two and go frugal family living together. There are so many fun ways to do this. Maybe you could all have fun dinners together (pick a theme and all bring a plate). Or each bulk cook a meal then swap dishes? Or prepare a family budget for a month project with another friend and see who saves more? 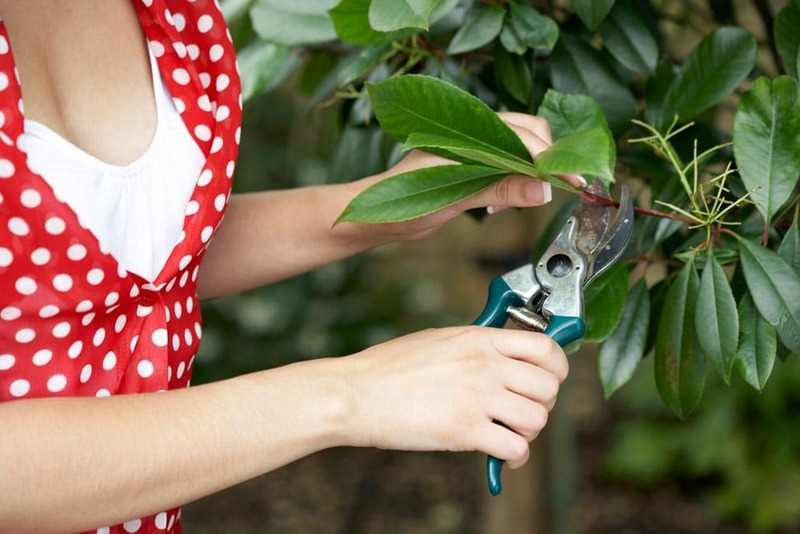 You could share items such as household and garden tools. How about babysitting? Save on babysitting costs by each taking it in turns to mind each other’s children. We hope you have found some great ways to make family savings and make the family budget go further. 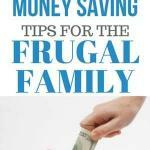 Be sure to Pin this post for next time you want to save money and be more frugal. Do you have any budgeting tips for low income families to share with us? Let us know in comments below. Great ideas! We have used many of these ideas ourselves. Thanks for reminding me to see what deals there are on our services-it’s been a while since I looked into that and some of those bills recently increased. Thank you! Great advice for the family! Thanks Wendy. We find all those little savings add up to make a BIG difference to the family. 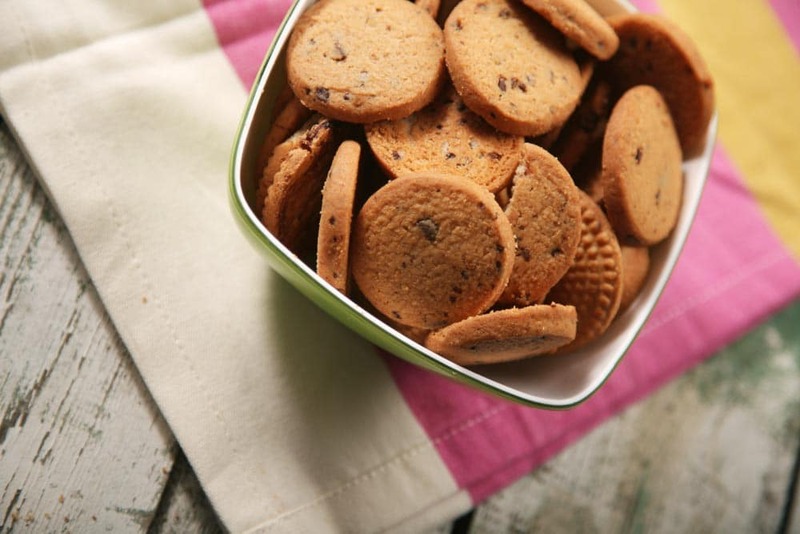 Great ideas, we could really save as a family by rethinking our groceries/meal planning! Thank you Haddie, We were so surprised when we started to make small savings at just how quickly they added up. Practical lifehacks for Moms to make home life fun, easier, cheaper and better! We help busy moms find the balance, joy and purpose back in their lives no matter how hectic every day is. Does your company want to work with the top website for amazing mothers? Are you a Meraki Mother with a story or idea you would love to share with us? Head to our Contact Page and get in touch, we would love to hear from you. Meraki Mother is a participant in the Amazon Services LLC Associates Program, an affiliate advertising program designed to provide a means for sites to earn advertising fees by advertising and linking to amazon.com, amazon.co.uk, amazon.ca. Amazon and the Amazon logo are trademarks of Amazon.com, Inc. or its affiliates.